The ECHO CS-590 started production in 2013, while the ECHO CS-590 Timber Wolf started in 2014. The Timber Wolf won the won the Dealers Choice Award from Power Equipment Trade magazine. That’s fairly prestigious considering over 1,000 lawn and garden power equipment dealers participated in the survey. At the very least, we have to recognize that this is an impressive chainsaw that customers love. Over the last couple of years, the ECHO CS-590 Timber Wolf has proven itself to be dependable, well-made, and a strong value considering its price point. 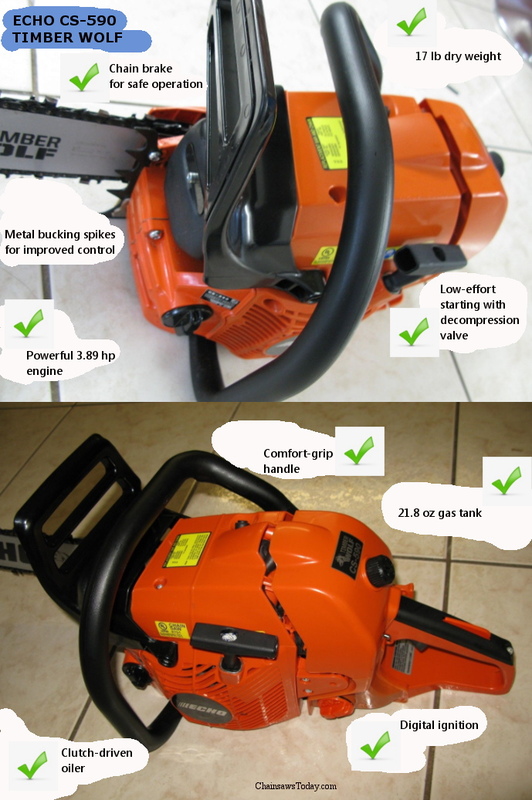 In this article I will review it alongside a couple of the gas chainsaws it competes with to see how it compares. With the right saw, pretty much all of us should be able to take down small trees, trim nuisance branches, and perform many other tasks as the need arises. This is why models like the Echo CS-590 are getting so much attention. But as you’ve heard, you get what you pay for (hopefully), so don’t just indiscriminately buy any junky chainsaw you see. I’m sure you’ve noticed, this ECHO is gas-powered. As I’ve said in other reviews here on ChainsawsToday, electric chainsaws do have their benefits. Unfortunately, they have a few trade-offs too. Be careful who you listen to if they advise you that cordless models are THE solution to every homeowner. The answer to this question is: it depends. It boils down to the specific needs of your home and garden, and your specific preferences. 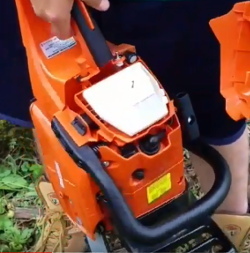 Yes, sometimes a battery chainsaw will make the most sense. But sometimes a gas-powered saw will be the right choice. We should go through these trade-offs to see what the right choice is for you. ✓ Here you can view or download Echo’s sell sheet. ✓ Here you can view or download ECHO’s MANUAL. ✓ Here you’ll find a press release from ECHO about this saw. ✓ Here you’ll find a press release about the Timber Wolf winning the Dealers Choice Award! You can have a bar and chain made out of magic pixie dust, but all the power required to cut comes from the engine. You won’t be disappointed when you grab the Echo CS-590 Timber Wolf chainsaw and give it full throttle. It’s quite capable of cutting through anything you throw at it. There’s a deliberate feature behind this – a high-quality 59.8 cc professional-grade 2-stroke engine. This allows it to deliver fantastic performance, including a runtime that beats any battery saw due to its fuel tank capacity of 21.8 ounces. As any pro will tell you, a dry chainsaw is going to give you nothing but a headache. It certainly won’t cut anything, at least not for long. You definitely want to choose one that has a self-lubricating system. That will greatly extend the life of the chain, meaning you cut for longer with less effort. The “old school” saws that require you to stop and manually oil them every so often are a real pain. Echo’s CS-590 Timber Wolf self-oiling system is actually quite sophisticated. It uses a clutch-driven oiler (that’s adjustable) to manage the process. That means it won’t waste oil, and run out at just the wrong moment. I realize it’s a small thing, but I want to mention the translucent fuel tank Echo has put on this saw. It’s supremely annoying when your chainsaw runs out of fuel right in the middle of a job. And of course nobody wants to needlessly pop open the fuel cap to peek inside. That’s actually a really common way of getting junk into the fuel and gumming up the carb. Echo fixed this issue by making the tank translucent on their CS-590. That makes it much easier to keep an eye on the fuel available, reducing both the hassle and the chances you’ll run out . Maybe ten years from now, all chainsaws will have a magic start button! Until then, we’ll have to pull on a cord to get it started, and we can count on the team of smart folks at Echo to make that a breeze. They did this by designing it with a decompression valve. This will help you get the saw started on your first or second attempt. No more yanking your arm off! An it’s nice that the technology works regardless of temperature, so it helps you start it even on cold Fall/Winter days. As I mentioned before, even if a chainsaw runs great right out of the box, if it’s temperamental or requires a ton of maintenance, it won’t be long before it has a problem. The Echo CS-590 Timber Wolf avoids this with a couple of cool tricks. One of the most common-sense features is that it’s so easy to get to the air filter. And once you open the panel to get to it, you can clean it within mere seconds. The way they’ve designed their G-Force engine air pre-cleaner, it effectively blows out any debris, which significantly reduces the amount of times needed to perform filter maintenance over the saw’s lifetime. You’ve heard the phrase “sh*t happens”. If you cut enough wood, you will eventually run into a situation where the chainsaw kicks back. As you graduate to a 20 inch bar, that can become more frequent. You’ve heard me talk about comfort before, but what’s even more important is absolute, complete control. The Echo CS-590 Timber Wolf manages kickback with some pretty beefy metal bucking spikes. These help to keep the bar from slipping, especially if/when you get into a situation where the chain gets bound up and the saw wants to kick. ECHO’s website has more info about some of their products. ✓ Here you can view or download the MANUAL. With its 55.5 cc 2-stroke engine, the 455 Rancher is plenty capable of performing in a heavy-duty capacity. And you’ll probably come to appreciate the X-torq technology too. Saws don’t exactly come with catalytic converters. Their exhaust can be pretty “dirty” for the environment. 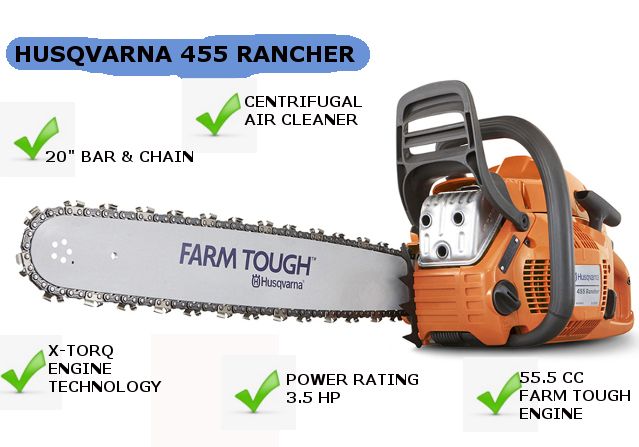 The 455 Rancher has technology that can allow it to decrease emissions by up to 60 percent. This also impacts fuel consumption by reducing it up to 20 percent. Thankfully, that can also result in substantially increased runtimes, all with a normal-sized fuel tank rather than straining your arms with a ton of heavy fuel. Like the ECHO CS-590 saw, this offering from Husqvarna is equipped with bucking spikes. Thankfully, the 455 Rancher also has low-vibe technology that will reduce your hand and arm fatigue. Those ergonomic improvements become apparent quickly once you start using this saw. When your chainsaw vibrates less, it’s easier to control and requires less effort. If you are using it for long periods, that means much less fatigue and probably more efficiency and productivity. I don’t want to sound like a broken record, but please PLEASE make sure you buy a saw with a chain tensioner. The chain needs to maintain proper tension to be durable, and work both effectively and safely. If it gets too loose, your cutting speed will drop off significantly. You have to make sure the chain tension is set properly as a part of it’s normal operation. Different brands and models address this differently. 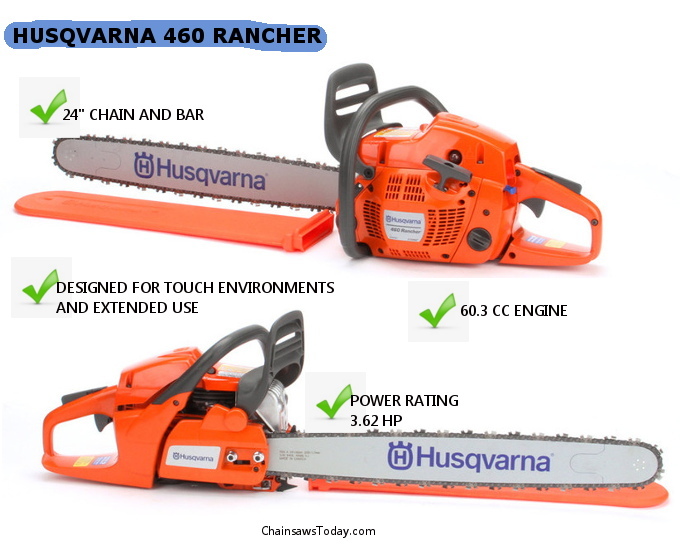 The Husqvarna 455 Rancher requires chain tension be set (and maintained) manually. Compared to auto systems out there, it may sound burdensome, but don’t be intimidated. It is not as difficult as it sounds. Husqvarna’s side-mounted chain tensioner provides easy access for this task. We all want a durable engine. Something that is low-maintenance is a real bonus too. If it lasts a long time, but you have to babysit it and tinker with it all the time, that’s probably not ideal. In a dirty, chainsaw environment, the air filter can get clogged quickly, shutting down your fun early. This saw’s centrifugal air cleaning system helps to limit this nuisance task. This air system limits or removes large pieces of debris and dust before they can get to the filter and clog it. This clever design makes perfect sense once you see how simple and effective it is. And their adjustable oil pump also minimizes the amount of maintenance you have to do on your chain. Eventually I’ll get around to posting a guide on chainsaw safety. Hopefully you are a responsible adult, and you will wear appropriate safety gear. Picture a chainsaw turning 9,050 RPM, and you hit a knot or a snag, and it kicks back at your face. Forget stitches, you may not live to get yourself to the hospital. Chainsaws aren’t toys, and when it comes to your safety, you are going to obviously want multiple safeguards. The 455 Rancher has a pretty trick inertia activated chain brake. If the saw kicks back, the system is designed to stop the chain as quickly as possible. Hopefully we can operate saws in a way that doesn’t test the chain brake device too often. But it’s always good to have that feature there if you need it. Even if you use the Husqvarna for a few hours at a time, or I guess I should say especially when you do that, you’ll notice it has been designed with maximum ergonomics and comfort in mind. The front handle in particular feels like it was designed to be easier to hold and to maximize the control you’re able to wield over the chainsaw. The fact that this thing only weighs 12.8 lbs makes a big difference too. This is something that is readily apparent when you pick it up in comparison to heavier saws. You sort of get used to it after awhile, almost spoiled by it. 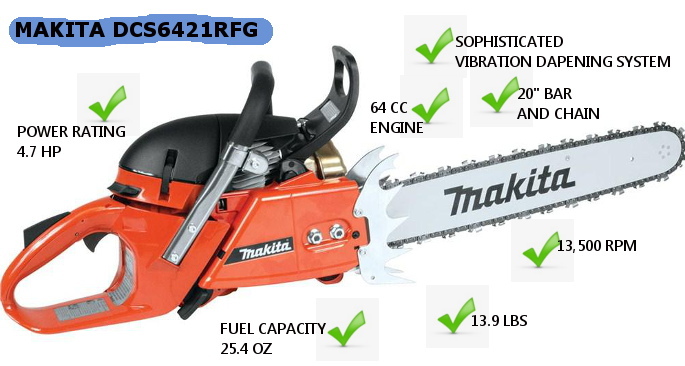 For a 20 inch gas-powered saw, this is close to being industry-best. And don’t forget the guys at Husqvarna designed it to be easy to start, too. They call their technology SmartStart. At least when I was using it, one light pull and this beast was roaring and ready to cut. It was warm out when I was testing this saw, so I can’t speak to its startability in cold weather, but I was impressed by what I experienced. ✓ Here you can download the MANUAL or the SPARE PARTS LIST for the Makita DCS6421RFG. Power is great, but if you break your back and wear out your forearms trying to control it, it’s not going to be helpful. It’s semi-easy for manufacturers to add power to their engines, but it usually drives up the weight. I don’t know who the braniac is that designed it, but the Makita DCS6421RFG seems to have almost the ideal power to weight ratio. It has a 64cc engine putting out 4.7 HP when operated at its maximum of 13,500 RPM. And get this: it only weighs 13.9 lbs! That’s not quite supersaw territory, but it’s very respectable in the company of the ECHO and the Husqvarna. Makita tried to nip the hard to start issue in the bud with its slide out baffle. This really only helps in cold weather. I didn’t get the opportunity to try it, since it was around 75F when I was doing this comparison test. But obviously, if you live in the North and tend to do most of your cutting in cold temps, you may want to give the Makita a close look. The DCS6421RFG also has a decompression valve to reduce the amount of force required to get it running. These two features show that Makita is listening to their customers, and trying to design in what we most want and use. I’m not telling you anything you don’t already know: cutting wood with a chainsaw is dirty business. Yep, it makes a mess. Some kind of magical feature that would take all the sawdust and make it magically disappear, or get dumped into a tidy bag, would be great. But… let’s not hold our breath. In fact, depending on how often you use your chainsaw and in what type of environment, you are probably going to have to clean it often if you want it to keep working properly. Us lumberjack types usually don’t enjoy cleaning stuff. Depending on what chainsaw you use, cleaning it can actually be a hassle. Makita designed the DCS6421RFG so that the chain compartment is very easy to access. Brushing out debris, or using compressed air to blow it out, couldn’t be more simple. With many higher-end, gas-powered saws, they have so much power that it’s surprising how capable they are with heavy-duty, near professional tasks. Long bars and hearty engines (along with a few cool features) can accomplish that. But I always want to be careful to pick one that isn’t temperamental, or will lock up an engine on me after only a year’s use. I want something designed to last many seasons. Makita has a reputation for building tough engines. This model has a magnesium housing that looks tough as nails. the knobs and controls on this thing seem beefy, and I’m satisfied they built it to last. Makita calls it LowVib, and they market it as a special feature that enables you to use the chainsaw near it’s maximum performance limit for hours on end while minimizing fatigue. Basically anything that’s capable of running at 13,500 RPM will shake itself (and you) to death if it doesn’t dampen vibration. The DCS6421RFG has a lateral chain tensioning system that allows you to adjust the chain. Proper chain tension will be critical to minimizing vibration. Between these two features, Makita scores well on the vibration scale. Power and weight and cool features are great. But if you use a chainsaw with any regularity, you may often wonder about productivity. How fast can I get the job done with a given saw? As I’ve said before, a large metal spike bar improves stability, helping to keep you safe and often making the job at hand feel easier to accomplish. Basically, spikes like this mean control. When you’re in control of that bar, you’re working safely and productively. You don’t want to feel like the chainsaw is moving you around (instead of vice-versa). I have to give them credit, the bucking spikes on the Makita DCS6421RFG are bigger than on models like the Echo CS-590. Click for the Makita site to learn more about this chainsaw and their extensive line of tools and power equipment. 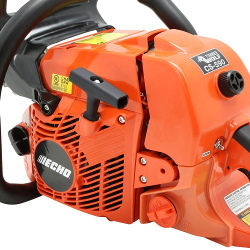 Although we covered 2 other choices here, if you are looking for a gas-powered chainsaw the Echo CS-590 is the perfect choice. Obviously, there are a few other options available to you. If you don’t think battery saws will do what you need, these gas saws are all three ideal. Given the great features on each saw, you may have a hard time coming to a final decision. I’ve tried to lay this review out in a fashion that will help you. Don’t be shy, you can always take a look on Amazon and read the reviews from some of the customers. I will mention though, that sometimes Amazon reviews tend to be negatively biased. Think about it – are you more likely to go online and post a review if you feel like you got your money’s worth, or if there was some kind of problem with your new saw. ECHO, Makita, and Husqvarna all make great saws. Battery technology keeps improving. If you used a saw “back in the day” when they used NiMH batteries, you know that lithium ion is drastically better. And they keep improving the chemistry and performance of Li-Ion as well. Within a few years, cars, motorcycles, planes, and certainly outdoor power equipment will all move to battery. Having said that, the gas-powered chainsaws are still more powerful than battery these days. It’s possible to buy a big enough battery chainsaw that it can match, on the short-term, the power of a gas saw, but runtime will be significantly reduced. Power isn’t at the top of everyone’s list. But if power is what you’re after, you really need to focus on finding the right gas saw, as the benefits of battery are in other areas. Mobility or portability is probably worst with corded chainsaws. Battery chainsaws are much improved, but it’s hard to beat a gas saw. All battery saws will come with a unique charger. If you don’t have the charger with you, you’re out of luck. Add to that the fact that sometimes when you’re out in the “south forty”, you don’t have access to an outlet to plug in a charger. A gas saw of course won’t run forever. Once the tank is exhausted, it’s a simple matter to pour some more gasoline in. Some would argue that a gas station isn’t any more accessible than an outlet if you’re out in the forest somewhere. But for a few dollars, you can have a gas can and several gallosn of spare gas. Have a spare battery is much more expensive. It stands to reason, since battery saws can be “power challenged”, that smaller tools will be the first and most applicable to convert from gas to electric. 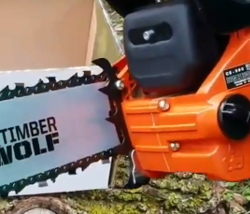 Battery-powered chainsaws can be expensive, so for the same money as a gas-powered saw, you’re probably going to get something that is a bit smaller. The longer the bar, the longer the chain. And the longer the chain, the more power it will take to run the saw. It’s not that you can’t get a “long” or big battery-powered chainsaw, you just tend to get a shorter bar for your money. As chainsaw bar lengths reach 20 inches, the saws typically are gas-powered. That makes it nice when wielding the saw against thick tree trunks or big branches. The longer bars can help increase your reach without making you stretch or get out of balance. 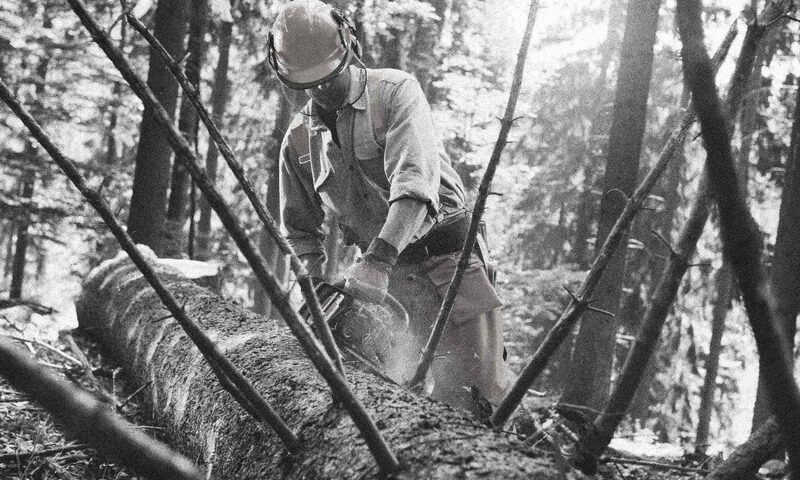 Just as battery technology has evolved, so have gas-powered saws. The “old school” tech that forced you to wrench your arm off over and over trying to get a saw started is, for the most part, gone. Manufacturers like ECHO these days do a good job using decompression valves to reduce the pull effort involved in starting their engines. They are also spending extensive time doing research and development on carburetor settings that make the saws start faster than ever. Winterization of gas saws can be important. You don’t want to leave gasoline in them for long periods of dormant time, because it can cause numerous corrosion problems and make them hard to start. We’ve covered some of the awesome features that high-end gas-powered models like the ECHO CS-590 offer, but are there negatives? Like any handheld power tool, they do have disadvantages too. Let’s take a look at the big ones and evaluate whether they’re as bad as reported. If you pay attention to the specs, you’ll see that gas models tend to be heavier than their battery equivalents. Yes, there are numerous exceptions. And high-end models like the CS-590 do tend to use more expensive tech (like magnesium castings) to reduce their weight. This is just a part of the selection process. If you are slight of build, or worried about handling a saw that is a pound or two heavier, make sure you prioritize that while you’re shopping. Be sure to avoid any saw that doesn’t forthrightly publish its weight. For all their benefits, gas saws will always be louder than battery saws. Wow, you’ve heard a gas saw screaming along at 13,500 RPM, right?? It takes a specially tuned motor to make this kind of power at this kind of RPM and chain speed. Electric saws are not completely silent, but they are orders of magnitude more quiet than gas. A part of your safety equipment should include hearing protection, regardless of which saw you choose. The noise factor may or may not be important to you. If you are going to use it at 6:15 AM right next to your neighbor’s bedroom window, you may want to prioritize accordingly! As I mentioned above, manufacturers like ECHO and Husqvarna have taken to heart many of the complaints and requests from customers, and they’ve made their saws much easier to start. But seriously, how much easier could it be than a battery-powered saw? Click the battery in, hit the button, and go! So this is all relative. Because if its feature set, the Echo CS-590 is easier to start than many gas saws. But when compared to a battery saw, anything that runs off a spark plug and gasoline is going to lose the competition on this front. Other than keeping the chain lubed and sharpened and tensioned, you really don’t have to do much maintenance for an electric saw. And that’s something you’ll have to keep up with for any saw. Taking the saw to a shop where a mechanic can give it a tune-up once a year may be plenty. And looking at the list, you may find you can do all that on your own anyway. Modern saws are a lot less finicky than they used to be.